Modern lifestyle has exposed us to various disease and ailments which we were unaware of or were rather rare ones. ‘Vascular diseases’ is one such group of diseases. Vascular-related diseases are the diseases related to blood vessels of the body that is veins and arteries. Arteries and veins circulate blood in our body. ‘Varicose veins’ is a condition which affects the veins of the leg and makes them enlarged. This causes overfilling of blood in these veins. These veins appear reddish or dark purple in colour and they become easily visible through the skin. They become sore, painful and swell causing them to easily felt over the skin of legs. They can also cause heaviness and discomfort. How today’s lifestyle can act as a risk factor for varicose veins? The nineteenth and twentieth-century jobs had more of physical work to be done. Nowadays, however, the work profiles have changed to long hours of sitting or standing. Moreover, people are finding lesser time to devote to exercise due to high demanding jobs and hectic work schedules. This has resulted in an overall reduction of human physical activity and can have ill effects on your body and blood circulation. Obesity is another issue that has upsurged in India as well. Obesity is nothing but having excess weight than which is ideal for your height and age. Foods like burgers, pizzas, pastries, and junkies have become the new trend and a treat for your taste buds. Unfortunately, such foods lack fiber and have abundant fat content. These foods coupled with a lack of physical movement causes weight gain. 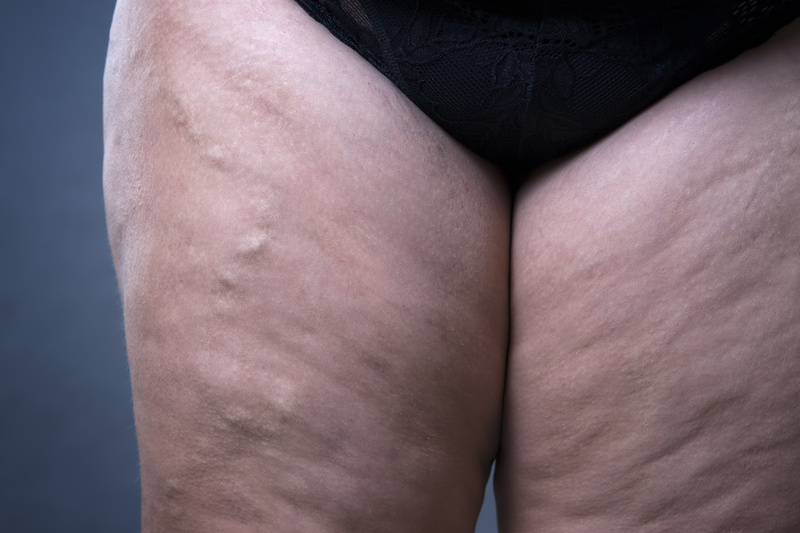 Excess weight can develop pressure on the veins of your legs causing difficulty in an upward flow of blood. This causes varicose veins. Frequent use of birth control or contraceptive pills can result in a slowing of blood flow in the blood vessels. This can cause clotting and varicose veins. Research has shown that varicose veins are twice more common in women having contraceptive pills. These are a few lifestyle-related factors which may cause varicose veins. Pregnancy, heredity, increasing age, weak or damaged veins, developing blood clots are other factors which can put you at risk of developing varicose veins. How can we diagnose varicose veins? First, your doctor will take a look at your legs. Varicose veins are easy to see, especially when you stand up. Your doctor will check your legs for tender areas, swelling, sores, skin colour changes and other signs of skin breakdown. He/she may also ask you about the pain specific areas. Once this has been assessed, the doctor may advise further tests like an ultrasound. It is a simple procedure where blood flow in the veins is measured and treatment is planned accordingly. 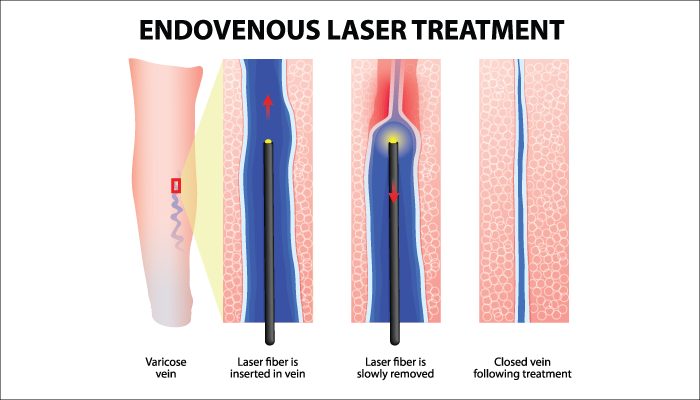 What is the treatment for the varicose veins? 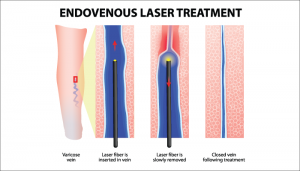 The treatment for varicose veins is mainly surgical. Recent surgical techniques are minimally invasive and do not involve big surgical cuts. EVLT is an excellent treatment and has given the highest success rate. The doctor will confirm all your weak veins, using a Duplex Ultrasound Scan and will determine the best place to insert the catheter. Then the area will be numbed using a local anaesthetic. Once the area has become numb, a small cut is made anesthetic for the catheter and a guide-wire to pass. An optical laser fiber is then passed through the catheter. The affected veins are sealed with the help of laser energy. The entire procedure is painless and approximately takes an hour. Patients can go home the same day and can resume routine activities within 15 days. Dr. Abhilash Sandhyala, the vascular surgeon and interventional radiologist in Hyderabad, who has conducted over 1000 surgeries successfully. You can also >> book an appointment << for Varicose Veins treatment or call on (+91) 99896 49498, 99590 33037.